With central bankers, policy experts and academics all together in Jackson Hole this week global events and economic data have been on the back-burner. Since it’s doubtful any concrete policy shifts will be announced from Yellen and Draghi on Friday, prices in major currency pairings continue to trade in narrow ranges, and implied volatilities continue to trade at historic lows. Although, there is no dearth of potential stimuli, FX market has been remarkably unresponsive to geopolitical situations. Panic driven headlines quickly fizzle out, and the markets return to the oft-toured correlation among asset classes, which tend to fade away under normal conditions and re-emerge under crisis condition. It leaves fundamentals and technical analysis in a secondary position. As my friend, Ken Veksler from Accumen Management wrote, “One wonders where the drama to escalate moves could come from”. The answer is, when people return from holiday or, an alternative, if Janet [or someone else] says something silly. Welcome to the dog days of summer. The case for an accelerating U.S. economy is improving. Fed minutes released yesterday showed the view that labor markets had moved “noticeably closer” to normal, while downside inflation risks had diminished. The greenback has performed well since early July, as evidence continues to show that the U.S. economy is gaining traction. Housing starts reached their highest level in 8 months. Should global jitters subside, given the Fed’s orderly policy shift; the USD will lose ground against the commodity emerging currencies before recovering once Fed tightening nears. Given the easy money policy stances in the Eurozone and Japan, the USD will strengthen vs. the EUR and JPY when the FED moves. Technicals hint at a near-term dollar peak, and USD longs have been built up noticeably. July CPI eased to 2% y/y. Core CPI was steady at 1.9% y/y. as expected. July housing data surprised to the upside with a 15.7% m/m increase. 8.1% m/m jump in building permits. Russia’s July retail sales increased 1.1% y/y. Unemployment rate was steady at 4.9%. July industrial output rose 0.4% m/m. August Empire manufacturing survey softened to 14.7. July import prices slowed to 0.8% y/y. Q2 productivity rose 2.5% q/q annualized. The foreign ministers of Ukraine and Russia met in Berlin, with their German and French counterparts, but we have no news of outcome on the goals—a cease-fire and border protocols. Meanwhile, Ukraine raised its flag in the town of Lugansk—the purported destination of the Russian aid convoy—and is closing in on Donetsk. On Tuesday Putin announced that he will meet with Ukrainian counterpart Poroshenko on Aug. 26 (in Belarus) to discuss stabilizing the situation in Ukraine, reports seekingalpha.com. They will also talk about energy, Russia’s ace in the hole. Even though Ukrainian central bank raised rates to stave off concern that the currency will slide further, and even as the International Monetary Fund tries to keep the economy afloat, the hryvnia (UAH) fell 1.5% extending its August drop to 7.7 %. It is the sharpest drop among currencies tracked by Bloomberg. The Russian central bank widened the trading band and abandoned interventions within the range, but the market didn’t like the decision, and the RUB extended its losses. It is second-worst performer among emerging-market currencies this month. Mixed data has had mixed results. The CNY has been among the best performing emerging Asian currencies over the past three months, gaining 1.5% against the greenback during that period, and recovering approximately half of the losses seen earlier this year. CNY strength helps the emerging Asian currencies, which are broadly stronger, including gains for the baht, rupiah, rupee and won. Some soft data suggested that recent policies haven’t eased wariness about lending and increased confidence in the struggling property sector. New lending, property prices and industrial production show that stimulus programs will need to continue for the rest of the year to make its 2014 target of 7.5% economic growth. August private manufacturing PMI fell to 50.3, while Hong Kong’s July CPI firmed to 4% y/y. August business sentiment rose to 59.0. July foreign direct investment fell 17% y/y. July industrial output eased to 9% y/y. Retail sales slowed to 12.2% y/y. Aggregate financing rose by just CNY273B, the lowest since 2008. China’s July trade surplus rose to US$47.3B as exports firmed to 14.5% y/y. July CPI was steady at 2.3% y/y. PPI slowed its decline to 0.9% y/y. Eurozone weak data and fears of a slowdown in Germany make it easy to continue to be bearish on the EUR. The pace of the Eurozone economic recovery is simply too modest, and inflation has slowed further. All indications are that Draghi will maintain a very dovish policy bias stance while implementing the previously announced easing, which will continue to weigh on the single currency. Technicals are negative and, although there has been a buildup in euro shorts, there is still some room for a further euro decline. EUR/USD implied volatility is slightly firmer, while EUR/JPY implied volatility is flat. Services PMI fell to 53.5. June trade surplus narrowed to €13.8B. June construction output fell 0.7% m/m. Q2 GDP was flat for the quarter and slowed to 0.7% y/y. July CPI was unrevised at 0.4% y/y. Core CPI was unrevised at 0.8% y/y. July PPI declined by 0.8% y/y. Q2 GDP fell 0.2% q/q. August ZEW survey of investor economic expectations fell more than expected to 44.3. June current account surplus rose to €15.0B. French June industrial output rose 1.3% m/m. July Bank of France business sentiment eased to 96. Portugal’s GDP gained 0.6 % sequentially in the second quarter, offsetting the 0.6% fall in the prior quarter. Data published by ELSTAT for the first two quarters of GDP performance in 2014 suggests that Greece is on course to register its first quarterly GDP level in positive territory in the Q3 this year. This comes after 25 consecutive quarters of negative GDP figures. Access to credit is still a challenge to sustain growth. Spain unemployment rate down to 24.5 from 26%. Current EUR/USD rate is 1.3274. Down since the last commentary. Mid implied volatility is 5.14%. Current EUR/JPY rate is 137.81. Up since the last commentary. Mid implied volatility is 4.96%. Recommended Enhanced Yield structure: Sell EUR forward. Short EUR/USD forward at 1.3275 for 2-Weeks. Sell 2-Week EUR Put/ USD Call with 1.3175 Strike (31 Delta). Forward’s implicit deposit rate is -0.26%. Yield from US dollar cash position 0.23%. Yield from option premium is 4.50 % annualized. Structure’s yield is 4.57% (from forward deposit rate, U.S. deposit rate, and option’s premium), plus potential capital gain from USD appreciation to 1.3175. RBA minutes from the August meeting reiterated a likely period of stability in interest rates and noted that a high exchange rate offers less assistance to economic rebalancing. As is always the case with the commodity based currency, global jitters, subdued local data, and central bank jawboning have weighed on it. Given that there is some rise of inflation and monetary policy is on hold, the AUD versus the USD should strengthen, at least until the Fed starts tightening. Interestingly, technicals are leaning negative, but market positioning suggests some room for gains. The Australian dollar is steady, as that country’s central bank cut its growth and inflation forecasts and repeated that interest rates would remain on hold. July leading index declined 0.1% m/m. July new motor vehicle sales fell 1.3% m/m. Consumer confidence rising by 3.8% m/m in August. July business conditions rose to +8. Business confidence rose to +11. June home loans edged up 0.2% m/m. Q2 house prices rose 1.8% q/q while easing to 10.1% y/y. Current AUD/USD rate is 0.9305. Lower since last commentary. Mid implied volatility is 5.67%. Recommended Enhanced Yield structure: Short AUD forward. Short AUD/USD forward at 0.9297 for 2-Weeks. Sell 2-Week AUD Put / USD Call with 0.9250 Strike (36 Delta). Forward’s implicit deposit rate is -2.01%. Yield from option 5.60% annualized. Structure’s yield is 4.02% annualized (from forward deposit rate, U.S. deposit rate, and option’s premium) plus potential capital gain from AUD depreciation to 0.9250. The question remains, “How fast will the Bank of England Hike Rates?” Mixed signs from the Bank of England continued to murky the waters. The central bank raised its GDP growth forecast for 2014, but cut the forecast for wage growth. Additionally, hawkish comments from Governor Carney appeared to suggest the hike was just around the corner. Minutes from the Bank of England’s August meeting showed a 7-2 vote to hold the policy rate steady, with the two dissenters favoring a 25-bp increase. Bottom line, we continue to wait. CPI slowed by more than expected to 1.6% y/y. Core CPI eased to 1.8% y/y. Core PPI output prices rose 0.9% y/y. June house prices slowed to 10.2% y/y. Rightmove reported UK house prices down 2.9% in August after -0.8% in July, for 5.3% y/y (from 9% y/y in May). August Rightmove house prices slowed to 5.3% y/y. U.K. July claimant count unemployment fell by 33,600. June jobless rate declined to 6.4%, but average earnings fell by 0.2%, which is the first decline since 2009. June trade deficit unexpectedly widened to £9.41B. Current GBP/USD rate is 1.6585. Lower since last commentary. Mid implied volatility is 4.34%. Short GBP/USD forward at 1.6583 for 2-Weeks. Sell 2-Week GBP Call/ USD Put with 1.6575 Strike (46 Delta). Forward’s implicit deposit rate is -0.52%. Yield from option premium is 9.40% annualized. Structure’s yield is 9.11% annualized (from forward deposit rate, U.S. deposit rate, and option’s premium), plus potential capital gain from GBP depreciation to 1.6575. Inflation in Canada continues to firm and growth has been solid, which reinforces the central bank’s neutral monetary policy bias. The rebound in U.S. activity should support Canada’s recovery. Benign (or should I say malignant) geopolitical financial market conditions remain are favorable for the CAD. The recent shift in FX positioning shows a positive view toward the Canadian dollar with potential for further upside, while technicals are mildly positive. Foreigners sold C$1.07B of Canadian securities in June. Jobless rate was unrevised at 7.0%. June manufacturing sales rose 0.6% m/m. July existing home sales rose 0.8% m/m. Canada’s June new house prices rose 0.2% m/m and were steady at 1.5% y/y. Canada’s July housing starts increased 0.7% m/m. USD/CAD rate is 1.0943. Higher since last commentary. Mid implied volatility is 4.98%. Short USD/CAD forward at 1.0948 for 2-Weeks. Sell 2-Week USD Put/ CAD Call with 1.0910 Strike (38 Delta). Forward’s implicit deposit rate is -1.56%. Yield from option premium is 6.55% annualized. Structure’s yield is 5.92% annualized (from forward deposit rate, U.S. deposit rate, and option’s premium), plus potential capital gain from CAD appreciation to 1.0910. There is lots of data, with mixed implications out of Japan. 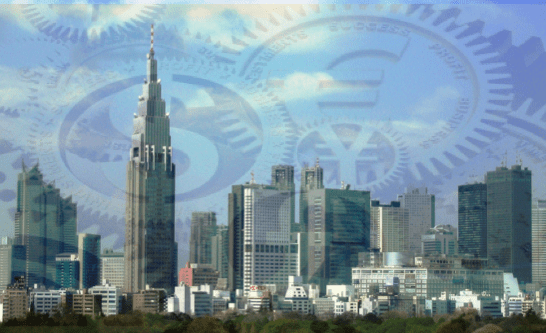 The Bank of Japan continues to refrain from a policy shift. This is in spite of the case built by slowing inflation, soft consumption, low productivity, and weak exports. Eventually, all will weigh on the yen. Yet, for now subdued U.S. Treasury yields and haven demand have limited the JPY’s decline. FX positioning shows limited scope for further downside; technicals point to a pause in near term JPY weakness. July trade deficit unexpectedly widened to ¥964B. Exports rebounded by 3.9% y/y . Imports unexpectedly rose 2.3% y/y. June all industry index fell 0.4% m/m. June core CPI eased to 3.3% y/y. June core private machinery orders rose a smaller-than-expected 8.8% m/m. July PPI slowed to 4.3% y/y. July M3 money growth slowed to 2.4% y/y. Consumer confidence edged up to 41.5. July PPI eased to 4.3% y/y. June current account surplus narrowed to ¥126B (sa). July economy watchers survey rose to 51.3. July bank lending rose 2.2% y/y. Current USD/JPY rate is 101.23. Current EUR/JPY rate is 1.3778. No Position Recommended. Implied volatility is too low to justify risk. The Mexican economy has struggled to grow, but data released on today (8/21) show that economic growth in Q2 was stronger than expected. Growth has been limited by a tepid construction sector. Secondary energy reform legislation should provide a boost and capital inflows. The manufacturing sector continues to ride along with a stronger U.S. economy. Nevertheless, growth will be limited unless the domestic economy strengthens further. Inflation has firmed and the central bank has indicated that rate cuts are over for now. FX positioning shows scope for additional MXN longs, while the technical outlook is neutral. GDP grew 1.60% in the Q2 y/y. Services and Industry expanded by 0.23%. Economic Activity rose to a seasonally adjusted 2.73%, from 1.41%. 2.60% was expected. Current USD/MXN rate is 13.0901. Slightly lower since last commentary. Mid implied volatility is 4.84%. Short USD/MXN position established from exercise of 13.1021 Strike USD Call / MXN Put. Sell 2-Week USD Put / MXN Call with 13.0000 Strike (34 Delta). Forward’s implicit deposit rate is 2.38%. Yield from option premium is 3.30% annualized. Structure’s yield is 5.93% annualized (from forward deposit rate, U.S. deposit rate, and option’s premium), plus potential capital gain from MXN appreciation to 13.0000.